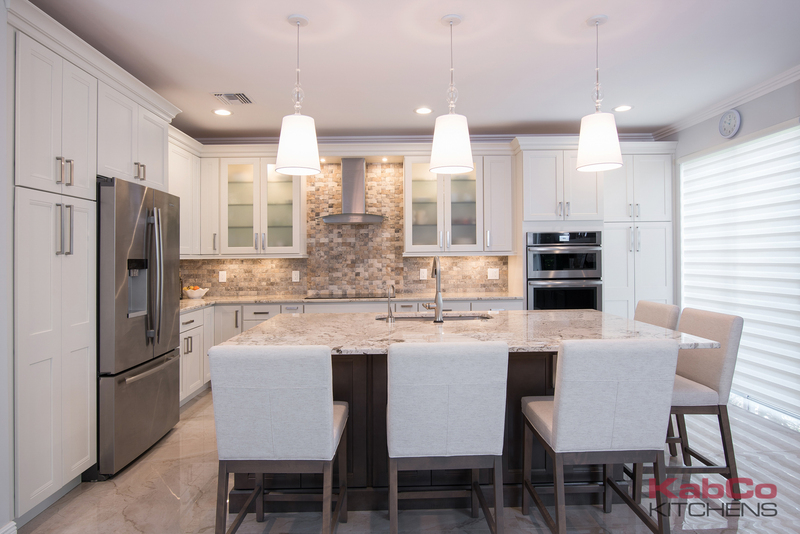 A dated kitchen with small adjacent dining area was converted into an expansive living space. 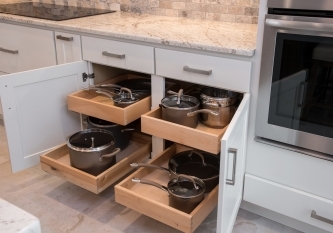 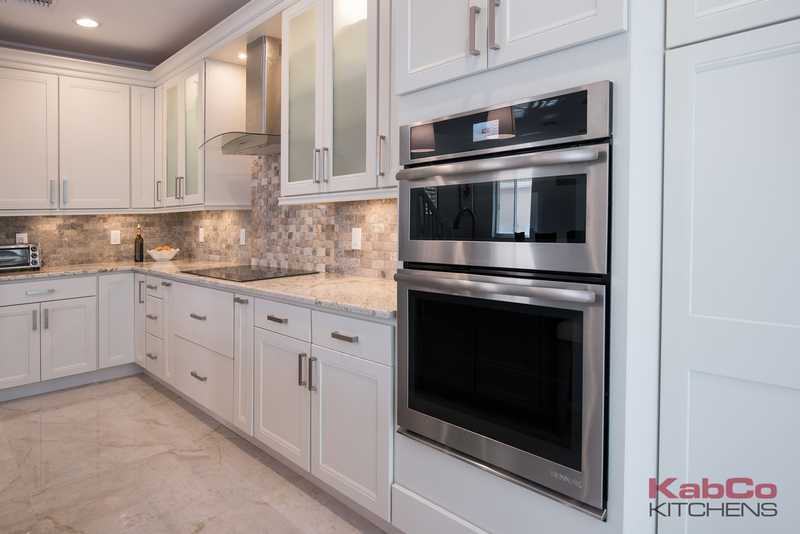 This cozy new home is now equipped with a bright new eat-in kitchen and entertainment unit. 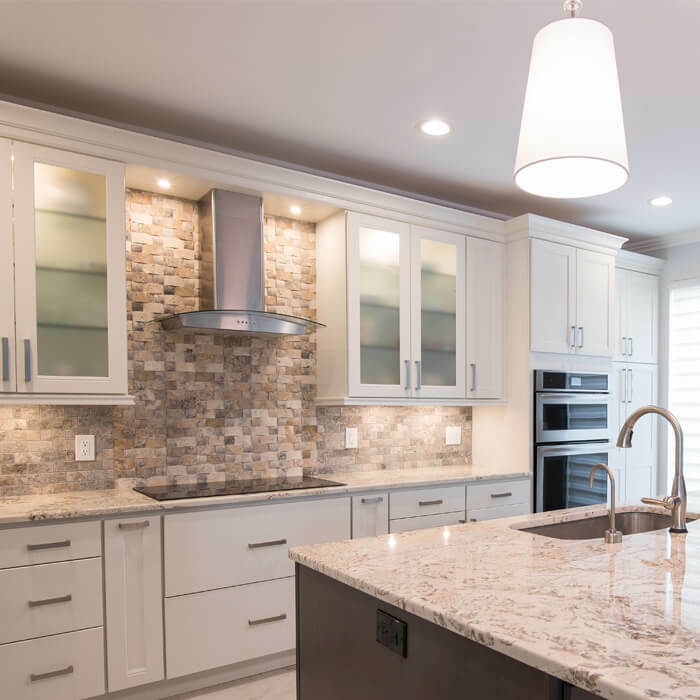 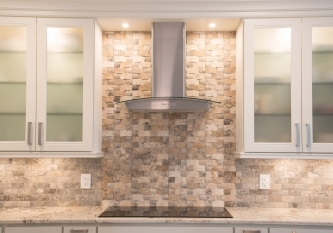 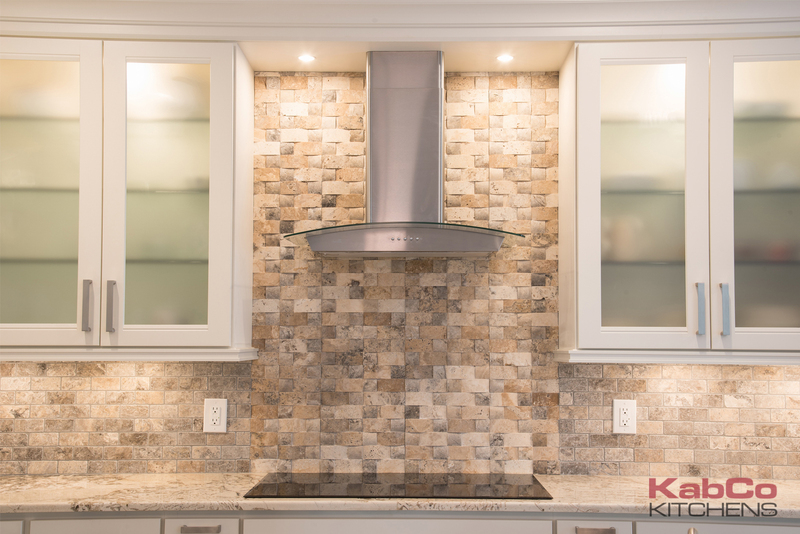 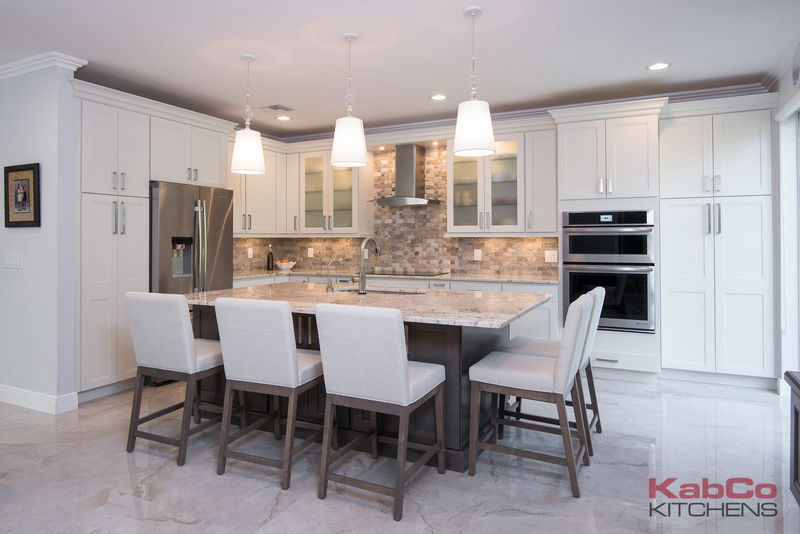 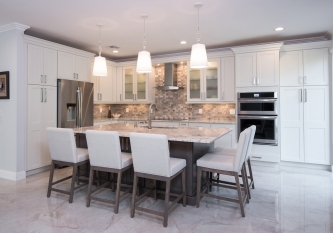 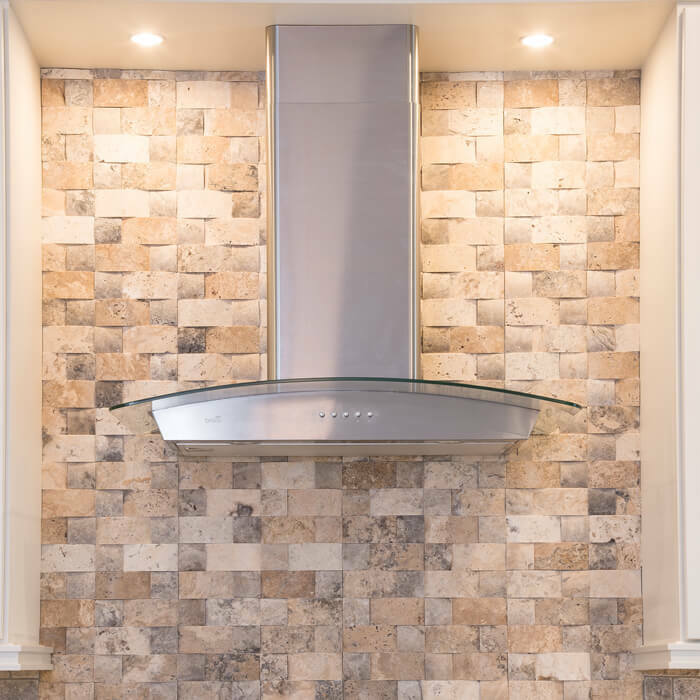 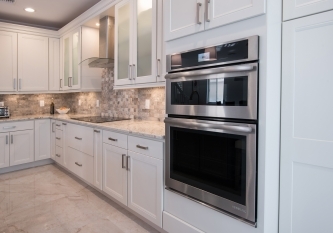 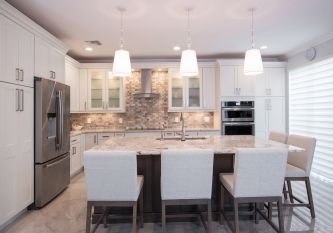 Custom French Vanilla cabinets and Alpinus Granite counters we paired. 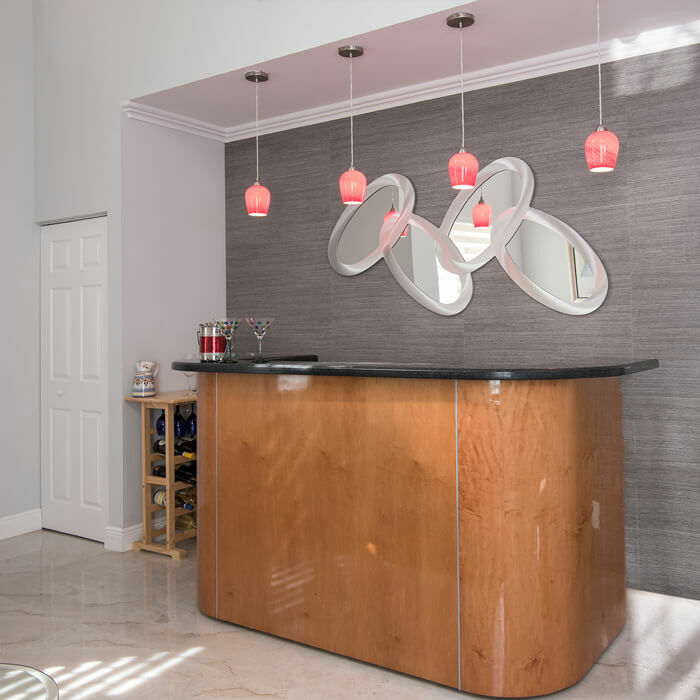 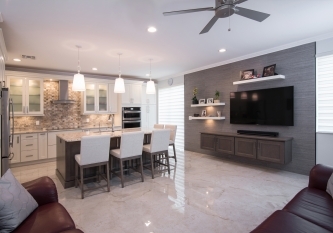 A contrasting island and floating wall unit were installed. 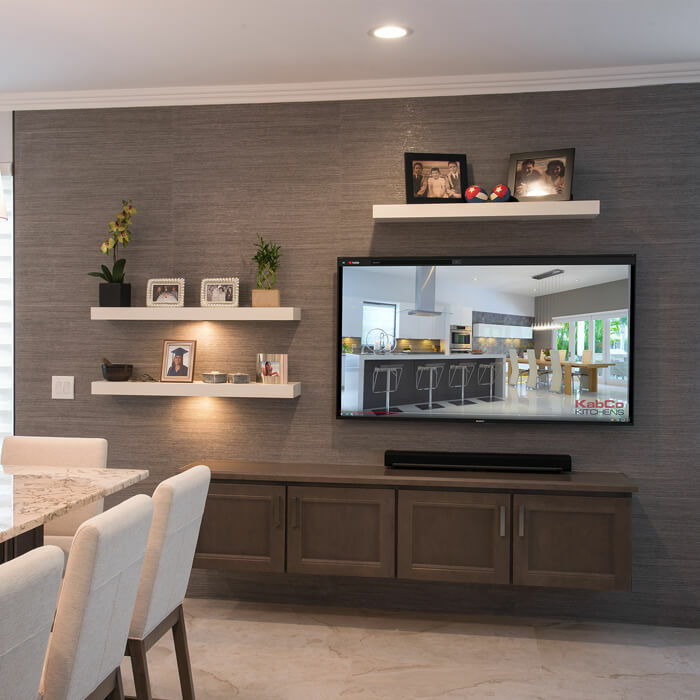 This new layout allows for prepping, dining, and enjoying TV all from one grand space.